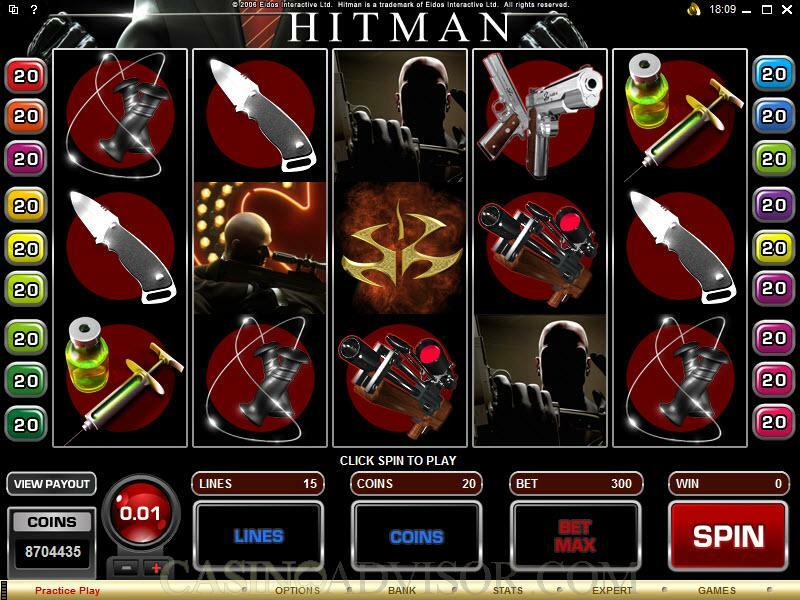 Hitman is a video slot game that is designed and produced by Microgaming, a superstar among the world's online casino software firms. The game's them is based on the stealth game series that is produced by IO Interactive. 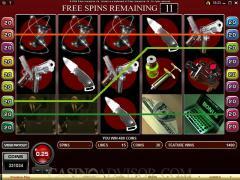 The slot version of this game has five reels, fifteen paylines, and a maximum bet of 300 coins. Hitman has a wild (Agent 47) and three different scatter symbols, all of which triggers a different bonus game. You can get things underway in Hitman by clicking the "spin" button, which is at the bottom right-hand corner of the interface. Before that, however, you will want to adjust the coin size (between .01 and .25) and enable up to 15 paylines. Remember that no winning combinations will pay out if they are not on an enabled payline. Coin denominations come in increments of .01, .02, .05, .10, .20 and .25. If you want to just cut to the chase, click "Bet Max" and it will wager the maximum number of lines and coins for you. 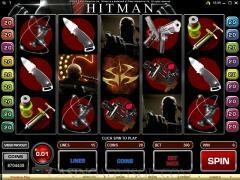 Agent 47, which is a main character in the "Hitman" video game series, is the wild symbol in the slot game. There are three scatters: the Insignia symbol activates the Insignia Bonus Game. 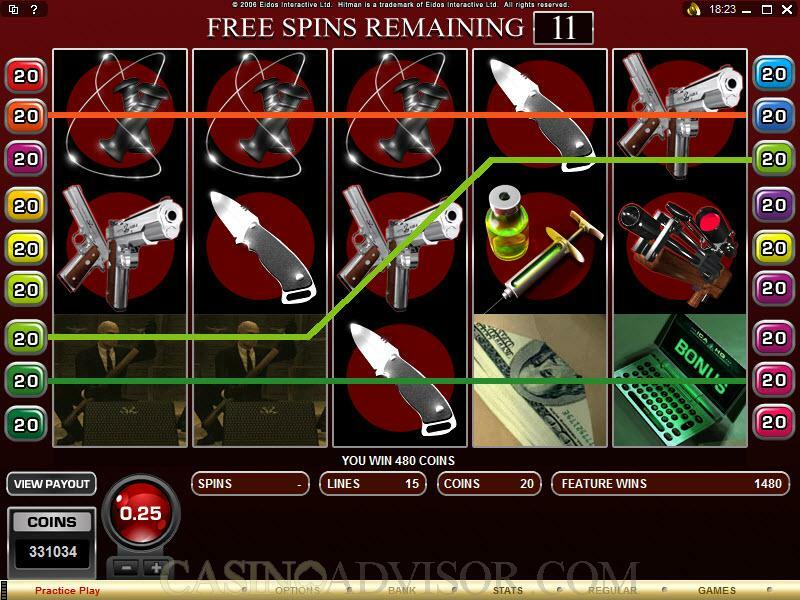 The "18" symbol triggers the Free Spins Bonus Game, and the Mini PC symbol can kick in the Contract Bonus Game. And if you are wondering why there is something called the "Contract Bonus Game," it's because this is a theme about assassins. The highest bonus figure for the Contract Bonus Game is 270,000 coins. For the Insignia Bonus, it is 6000 coins, And the highest jackpot on a regular symbol is the "Sniper," which brings 4000 coins. The color scheme and graphic design are sleek and easy on the eyes. You can see the payout tables simply by clicking "View Payout" and everything is very clearly laid out for you. Interested in reading more detailed information about Hitman? If so Click Here for more details.